This section is intended for foreign professional sellers opening a SuperBoutique on Rakuten-PriceMinister to sell their products. It aims to give foreign professionals a view of the main legal obligations binding a professional seller in France. Note that it is not exhaustive and foreign professional sellers are strongly advised to consult with their lawyer in order to determine whether specific laws or regulations apply to their business. Every professional seller selling products to French customers in France is subject to the French consumer law. As an online seller on a French marketplace, foreign professional sellers are subject to a specific regulation on online selling. This section is a overlook on the main obligations for a professional seller set out by French consumer law. Such information must be given prior to the sale. According to the French consumer law, when a consumer purchase a good/service online, he or she has a “withdrawal right” for a period of 14 days starting at the date of reception of the good. During this period the consumer can choose to return the good at its discretion. The only limit is that if the consumer returns the good in bad conditions, he/she might have to pay damages to the seller. Some goods cannot be returned. In the Rakuten-PriceMinister terms and conditions (article 8.6.3) you can find a complete list of goods that cannot be returned in application of the right of withdrawal. Mainly if the good can deteriorate quickly (ex. Food) or if it’s unhygienic to return the good (ex. underwear), the right of withdrawal may not apply. When a consumer exercises its right of withdrawal, then he/she must be reimbursed within 14 days or at the latest when the consumer gives a proof of return of the good. The reimbursement covers the price of the good and the price of shipping. The costs of returning the good are bore by the consumer. It is to be noted that the right of withdrawal does not apply to professionals buying online in their capacity. On Rakuten-PriceMinister, when a consumer exercises its right of withdrawal, our company reimburses him/her. If the price of the transaction has already been paid to you, then you shall have to reimburse Rakuten-PriceMinister. All professional sellers in France are bound by the following legal guarantees towards consumer: a conformity guarantee and a guarantee of “hidden defects”. The conformity guarantee protects the consumer against defects in the products, ie any feature of the product that is not up to the standards (ex. the good cannot be normally used; it does not correspond to the description given by the seller…). There is a legal presumption of 2 years that the defect in the good existed at the time of delivery. If the guarantee is applied, then consumer can choose between having its product repaired or replaced by the seller. If these options are not available, the consumer can be partially or totally reimbursed. The guarantee of hidden defects is a more general guarantee against any defects on the product that are invisible at the time of purchase and render the product improper to use. The guarantee lasts 2 years, and the burden of proof of the hidden defects is on the customer. If the guarantee is applied, the customer can have a partial or total refund of the price paid. This guarantee is less widely applied than the conformity guarantee. On top of the legal guarantees, the seller may offer its own commercial guarantees. Counterfeiting is considered a very serious offence in France (and more generally in the European Union). The reproduction of a product or mark protected by any intellectual property right –copyright, trademark, design or patent – can lead to prison sentences, hefty fine, indemnification and destruction of stocks. As an intermediary platform, Rakuten-PriceMinister is active in the fight against counterfeiting. You are reminded that in accordance with Rakuten-PriceMinister terms and conditions, you are not authorized to sell counterfeiting products on PriceMinister-Rakuten. If Rakuten-PriceMinister becomes aware that you are selling counterfeiting products, your listings shall be taken down and penalties shall be applied to you. They do not respect France or European regulations or some of their components are forbidden. Example: the UE regulation forbids some ingredients to be included in cosmetics formulas. If a cosmetic product contains forbidden ingredients, it cannot be sold in France. They fall under regulations limiting their sale or forbidding it altogether. Example: most pharmaceutical products can only be sold by licensed pharmacist. They are sold by their manufacturer through a selective distribution channel. In order to be able to sell this kind of products on Rakuten-PriceMinister you must have a distribution agreement with the manufacturer that allows you to sell on marketplaces. Claim penalty: when sellers has high claim rate and high returns, Client service team will set a penalty equal to the commission. Counterfeiting penalty: if Rakuten-PriceMinister detects counterfeiting article, seller will be charged penalty of 100 euro, plus 20% from all sold stocks and all available stock. In any case, it is your responsibility as the seller to verify beforehand that your products are not counterfeiting or forbidden. You shall be solely responsible for your products. If you conduct operations in France, you are subject to VAT in France for, among others, the shipments or sales of goods when delivery takes place in France. The VAT is paid directly by the purchaser of the goods when he has a VAT identification number (only professionals have one). For further information, you should contact your lawyer or the French tax administration. You can consult the French tax administration website in this link. For companies outside of the EU, for all VAT matters, please contact either the French fiscal administration or liaise with an expert. If you have a permanent establishment in France, then you are subject to the same obligations as the French companies to register with the trade registrar (“Registre du commerce”) and to pay taxes in France. Do I have to provide an invoice to each customer? A difference should be made whether the customer is a consumer or a professional. It is not mandatory to provide consumers with an invoice. However if the client specifically asks for an invoice, the professional seller must provide it. This obligation is reiterated in article 6.7.3 of the Rakuten-PriceMinister Terms and Conditions. If the buyer is buying in his/her professional capacity, then the provision of an invoice is mandatory. Do I have to provide customer information in French? There is an obligation to provide to customers all documentation (including user manuals or other manufacturer’s information) in French. Please make sure that you comply with this obligation before offering a product on Rakuten-PriceMinister’s marketplace. If you are unable to provide user’s manual in French, please redirect client’s to the manufacturer’s official website to download the instruction manual of the purchased device. Can I offer a right of withdrawal (or cancellation) longer than what is provided by the law? Can I offer commercial warranties? Do customers have to send back unwanted products with their original packaging? When a customer exercises its withdrawal right, Rakuten-PriceMinister always advise him/her to return the product in its original packaging. However, this is not a legal obligation for the customer, and the lack of original packaging is not in itself reason enough to refuse to reimburse the customer. Can I refuse to sell to professionals? Although it is illegal for a professional seller to refuse to sell to a consumer, this rule does not apply when the sale is between two professionals. A professional seller may refuse to sell its stock to other professionals buying for their professional needs. If you do not want to sell to professionals we recommend that you inform the users on your SuperBoutique. In any case, Rakuten-PriceMinister terms and conditions allow sellers to refuse a purchase made by another professional for the sake of reselling the goods (article. 7.8). In this section, you will find all the requirements to have a quality listing of your products on our platform. In each product page, if multiple merchants sell the product, the one that has the Buybox will be displayed at the top section of the page. For a seller to be eligible to Buybox, he must meet a mix of performance-based requirements including price competititiveness, shipping, claim rate or seller rating. The more competitive your product are, in term of price and service, the more chances you have as a merchant to have the Buybox. An optimized title « Type of Product + Brand + Reference or Characteristic» will help you to maximize your visibility. Avoid long, redundant and messy titles. Example: A&D Silicone Case For Lg Optimus L5-2, Case for LG G5-2, E460, Black Silicon, Quality Accessory. Avoid too short titles without brand and other references. Example: White washing machine. Use capitals properly. Example, do not write: CONVERSE ALL STAR BLACK. The EAN (European Article Numbering) is a bar code accompanied by an identification number of products consisting of 12 or 13 digits, it is crucial for the proper indexing of your products on Rakuten-PriceMinister and price comparison sites. Using an unique references EAN is mandatory in your import files. Do not create a new offer manually without verifying that an identical product does not already exist on Rakuten-PriceMinister. If you don’t have EAN, the GS1 Company will establish a personalized quote to provide barcodes for each of your adverts. The allocation of these EAN is not applicable on branded products (Converse , Nike, Levi's, Apple, Samsung ...) because they already have their own EAN. Comment is visible on search and will increase your visibility. They are participating a lot to your conversion rate! They allow you to make users confident about you being professional. Use correct French and mention the benefits that users will have from your product. Include promotional information to increase conversion rate: Delivery speed (mandatory), Coupon, Free delivery, shipping methods, warranty, quality, customer service, credibility of your shop, etc). Brand name is mandatory on Rakuten-PriceMinister. It will help users to find products easily while searching. If your products don’t have any brand we highly recommend to use « Marque Générique ». Generic brand will be shown in «Non précisé » category in search. On our platform, smartphones are one of our best-sellers. In orders to help you to sell more, and well, here are some tips. Different types of refurbished smartphones exist depending on their condition. Mention which accessories are included with the smartphone. Shipment: please ship the phone in a box not only in an envelope, even if you don’t have the original one. Please get a generic one. In this section, you will learn how to put your products online on Rakuten-PriceMinister. There are 3 ways to upload products on our platform. It’s the easiest way to put a product online on Rakuten-PriceMinister. Click on « Mettre en vente ». Click on « Vendre un produit ». Option 1: List a product that already exists. Example: Iphone 8. Option 2: List a product that does not exist. Example: Your own homemade bracelets. Let’s take "iPhone 6" as example. Type « iPhone 6 » in the field. When you found your product, click on « Vendre ce produit ». On your account, click on « Toutes mes annonces ». Choose the product you want, click on « Cliquez ici pour ajouter une photo » and follow the instructions on the next page. The principle here is using a CSV file with a list of products and uploading all of them in one time (instead of doing it manually, 1 by 1). Click on « Mise en vente rapide » and click on the logo under « Fichier ». In the tab « Votre fichier – Your file ». You will put here the info of the products you want to match. Let’s see a good and a bad example. Finally, save your file in the right extension: either « csv » or « txt » format. Click on « Envoyer mes fichiers de stock ». Click on « Soumettre un nouveau fichier ». "Entrées / mise à jour d'annonces" means « updating your stock » = taking your stock and updating some data. "Ecrasement d'annonces means « updating your stock AND removing everything else » = by doing this, you erase all your stock and replace it with what is inside the file you submit. This applies when you have a lot of products and you know they do not exist on our platform: for example, you only sell products from your own brand. First of all you need to download CSV file template. Choose your category (except « Mise en vente rapide »). « Fichier – File » tab: this is the file you will upload. Please save only this sheet as a new CSV file before uploading. You can change the language (Google Translation) in the top right corner (English, Chinese, Spanish, Italian, etc). Click on « Test File ». Select the item category and click on « Preview ». For « options », choose as showed in the picture: « Yes », « Semicolon », « UTF-8 ». If there is no problem, proceed by clicking on « Analyze ». If the result is 100% and it is the first time you upload in this item category (here, first time we upload fashion products for our shop), click on « Demander la configuration de ce fichier ». Our back office will check and upload the new products for you. « 1 Ligne » and « 2 Colonne » are location where you can find errors. Line5 Column5: Type of sports is wrong. It has to be chosen from category template (Valeurs autorisées). Line5 Column8: EAN code is wrong. It must have 13 digits. Line5 Column28: Image URL is wrong. It has to start with http://. (not https). This applies when you have a lot of products to upload and you do not really know which ones exist on Rakuten-PriceMinister and which ones do not. Do the same process as the « You want to put online a lot of products that already exist » part. After finishing, the products in your list that do exist in our platform will be put online. For the ones that do not exist, you will receive a report. From that report, take the list of products and upload them through FileValidator (https://outils.priceminister.com/documents/file-validator/index2.php) using the « You want to put online a lot of products that do not exist » part. Check the status of this import. listing of new sales, confirmation / rejection of sales, etc. These Web services allow you to retrieve the list using WS and details of financial transactions to your Virtual Wallet. For your instance, we are working with Tongtool for father support. It will be more easy to manage stock with other marketplaces. Which method should I use to list my products? Manual is the longest but easiest way to upload products. We do not really recommend doing like this, or only if you have a very limited number of products or from time to time. CSV is a popular solution to upload products. You need to understand how it works and then it is rather easy. To use API, you need to have some specific knowledge about coding, or hire someone to do the work for you. It’s the more complex but more powerful tool to manage your catalog. Should I create a new product page every time I want to upload an item? No! If the product already exists in our database (for example, an iPhone 6, 64GB, color Silver) you should put your item on that page. It is important for the quality of the listing on our website. If you create too many products that already exist, our quality team will delete your products and ask you to upload them again, at the right place. What to do if my CSV file does not work on File Validator? On Step 4 of File Validator, you have a “download error file” button. Download, open the file and here, you will have the information about the problems. I do not understand where I should put my file. In File Validator: use File Validator when it is the first time you want to upload products for a new item category (if you always sold phones and want to sell clothes for example). Use your Back Office (« Envoyer mes fichiers de stock » -> « Soumettre un nouveau fichier ») to upload products in categories where you already sold products (for example, you sell cellphones and you want to put new cellphones online). In this section, you will learn how to handle your sales (confirmation, shipping, tracking) and after sales (claims and how to avoid them. Each sale has to be validated. To do so, go to « Toutes mes ventes », click on the command number and on « Accepter la vente ». Please validate your sales within 48h (24h is ideal). If the article you just sold is unavailable, click on « cliquez ici si l’article n’est plus disponible ». Be aware that too many cancellations is harmful for your business. You will find the shipping address on « Toutes mes ventes », command number and « Bon de livraison ». Be aware that by default, you don’t have access to your buyers mail address and phone number. The access to this data data requires your strict compliance with the « French Data Protection Act » (dated 6 January 1978 and Article Pro 2.4) of the Merchants terms and conditions. When this is done, the information will be available at « Toutes mes ventes » - « Détail vente » - « Order number » - « Bon de livraison ». You are able to send the tracking number on « Toutes mes ventes », « N° article » and « Communiquer le numéro de suivi ». Claim rate and cancellation rate are very important criteria that always be checked before promoting sellers. The higher the claim rate and cancellation rate, the less chance you have to be promoted. Not received claims are the most common claim in international sellers. Tracking numbers must be provided and parcels must be shipped within 2 days. Delivery time must be mentioned accurately in all articles comment. Answering buyer’s message faster will help you to receive good rating. Always try to find a good solution for buyers without refunding. Also, you have torespect buyer’s request. Sellers should check their claim rate frequently from their dashboard. If the claim rate exceed 8% your shop will be suspended. Average claims rate is around 3%. Sellers can check claims from « Toutes mes ventes » in the left menu or claim link in the dashboard below. To check details of claim, Click on « N° article ». Not received: No amicable phase (no interactions between buyer and seller) As soon as the claim is opened, the seller must confirm the shipment with all the useful information (tracking number if applicable, date of shipment). The seller has 3 days to reply. The seller will respond in a form with defined fields. Without any response, the transaction will be canceled. However, if a tracking number was provided before the claim opened, claim will be rejected and the tracking number will be resent to the buyer. If the package is blocked, the Client service team intervenes. For "Normal" shipments (without tracking number): if the seller confirms that the shipment took place on time, the buyer must confirm that he has not received the parcel. Damaged / Different: Amicable phase of 3 days (phase which the seller and the buyer communicate with each other without the intervention of the Client service team) If the seller does not respond to the buyer during the amicable phase, the Client service team requests him to reply via a form (with defined fields) the solution he wants to offer (exchange, refund, other ...). The seller may also choose to contest the claim and comment. If the seller replies to the buyer during the amicable phase but the buyer does not respond to the seller (we do not know if the seller's proposal suits him) Client service team will re-ask. He has 3 days to answer. Otherwise, the claim will be rejected. If the buyer and the seller interact without finding a solution, the Client service team requests the advice of the 2 via forms (with dedicated fields). To solve your issue, send an email directly to buyers using message window. It is available for 3 days. After, PriceMinister-Rakuten Client Service team will intervene and cut your communication with buyers. If the seller has not sent tracking number, « Communiquer le numéro de suivi » tool will be available even after 3 days. Contact Rakuten-PriceMinister to Refund the buyer or consult the situation through the link « Contacter Rakuten-PriceMinister ». Client service team will fully Refund the buyer. Cancel the order directly if you didn’t have the stock, through the link « Annuler la vente cet article ». Also you can use this link to Refund buyers if they wish to be refunded. This is the fastest option to refund. Offer a discount for only Damaged items through the link « Proposer un rabais ». Seller can offer up to 50% of purchase. Contact Rakuten-PriceMinister through the link inside the email they sent you. This option will be still available after 3 days passed. You can contact only to Client service team. New messages from buyers will be visible on the dashboard please check them frequently and answer them fast to avoid claims. Sellers can find order detail page easily changing the following link's order number. Replace 999999999 by the articles number. Also, you should be logged into the right account. Customer satisfaction is the most important criteria for your shop. All Returns or Refunds must be handled smoothly. Withdrawals will not be included in the claim rate. When buyers want to withdraw, you can refund by clicking on « Annuler la vente cet article » link in the order detail page. All Refunds are done by Rakuten-PriceMinister’s Client service team. Return policy must be chosen when you onboard. One shop must have only one return policy. Give up articles and refund. Provide a return address in EU. Shipping cost for return must be paid by sellers for the return outside EU. Sellers should provide Prepaid Return label by email. Sellers can pay shipping fees to buyers’ Paypal account or to their bank account. Prepaid Return label: Seller can pay the shipping fee to a carrier company and provide the paid label to buyers by email to stick it on the package and ship without paying anything. Please check this option with your delivery company. If a seller has high claim rate, cancellation rate or attempt to sell counterfeiting articles, his shop will be suspended and all payments will be blocked. He should analyze their claims and find a realistic solutions to avoid further ones. Solutions or improvements must be set up for each claim types. Client service team will check the statement and set a target for claim rate and cancellation rate for the next 2 months. If the seller exceed this target, his account will be closed completely. For counterfeiting, the seller has to sign a Legal form of counterfeiting in addition. Claim penalty: when sellers has high claim rate and high returns, Client service team will set a penalty of as equal amount as commission. Counterfeiting penalty: if Rakuten-PriceMinister detectd counterfeiting article, seller will be charged penalty of 100 euro, plus 20% from all sold stocks and all available stock. How claims are handled on Rakuten-PriceMinister? You already provided a tracking number. In that case, the claim is automatically rejected. You did not provide a tracking number. In that case, you will be asked to provide it. If the claim is about another topic, you will have 3 days to talk with your buyer to find a solution. If no solution is found, the Client service team will intervene. What is an acceptable claim rate? Average claims rate is around 3%. If the claim rate exceeds 8% your shop will be suspended. What are the different outcomes when a claim is accepted? Provide a return address in EU. In that case, the buyer pays for the shipping to the warehouse. Provide a prepaid return label. If you are not in Europe, you have to pay for the return shipping costs. My shop has been suspended and I do not know why. First, you can check your emails. Our customer service has probably informed you about the closing of your shop (maybe the message is in French). The merchant do not confirm or provide tracking numbers for his sales = confirm your sales and provide tracking numbers as fast as possible. Delivery is too long = indicate in all your comments the country and expected time for shipping. In that case, you should send a statement to the Client Service. Look at the “Reactivate a suspended shop” for more information. In this section, you will understand everything about payments on Rakuten-PriceMinister (e-wallet, payment of your sales, etc). The bank account you set up during registration is for debit of your monthly subscription and promotion fees on Rakuten-PriceMinister. Some merchants are confused and think this account is for creditting the money for sales, which is not the case. The account you put for debit CAN NOT be from WorldFirst or Payoneer = you can not pay your monthly subscription to Rakuten-PriceMinister using WorldFirst or Payoneer. You CAN put a WorldFirst or Payoneer account for credit = you can receive the money from your sales on a WorldFirst or Payoneer account. Mon Porte-Monnaie is the online E-Wallet where we transfer the money from your sales. With this money, you can buy on Rakuten-PriceMinister or transfer the money to a bank account. You can not pay monthly subscription and promotions fees from her. Click on « Mon Porte-Monnaie » and set your birthday. This information is important as it will be requested for sales transfer and changing bank details for monthly subscription. For rated orders: every Monday and Thursday. For unrated orders: the closest Monday or Thursday 20 days after validation of the order. How am I paid for my sales? Most of the sellers choose automatic payment. For rated orders, the money is transferred to you every Monday and Thursday. For unrated orders, the money is transferred to you the closest Monday or Thursday 20 days after validation of the order. You also have the possibility to manually transfer money from your e-wallet to your bank account. I have a Payoneer or WorldFirst account and I have been asked to change it, why? This account (debit) CAN NOT be from WorldFirst or Payoneer. But of course, you can receive the money from your sales on a WorldFirst or Payoneer account. It is just 2 different information at 2 different places in your back office. In this section, we will explain to you our marketing tools and how to use them in a proper way to boost your sales on Rakuten-PriceMinister. For the PriceClub members, Rakuten-PriceMinister finances 5% for PC and 7% for Mobile application. If a PriceClub member spends 100€, then he/she wil gain 5€ (or 7€) of RSP which can be used for future purchases. Every Wednesday, Rakuten-PriceMinister has operations where we increase the amount of RSP we finance (up to 20%). As a seller, you can put RSP campaigns on your own shop. These RSP add up to our RSP. Example: if we finance 20% of Super Points, you propose 10% on your shop, and a buyer spends 100€, he will have in total 30€ to spend in his future purchases. To increase your conversion rate. To acquire royal and loyal clients. To increase average basket value. How to create a RSP campaign? Access the RSP tool from your account: « Rakuten Super Points », log in and follow the instructions. Minimum purchase value should not be too high compared to your average basket price. For example, if you average basket is around 30€, putting a coupon with 40€ minimum is accurate. Send us the discount, minimum purchase and budget. Rakupons are a « performance budgetted tool »: you are billed only with the Rakupons that are really used. Each click on an ad costs you 0.15€. R-Ads uses a cost-per-click system: you set up a monthly budget for R-Ads, but you are invoiced only depending the clicks. How to set up R-Ads? How to suspend or cancel an R-Ads campaign? How to have your banner on RSBP page? Why should I pay for these tools? The tools are designed to help you improve your sales. Remember these are all “performance tools”: you pay only what you use. You can allow 1000€ of budget for coupons or R-Ads, but if only 100€ is used, you will pay 100€. Can my RSP (Rakuten Super Points) as a seller be cumulated with Rakuten-PriceMinister RSP campaigns? Yes! This is the reason why we invite you to put an RSP campaign when Rakuten-PriceMinister has its own RSP campaign. That way, the Super Points are added and it really boosts your sales! In this section, you will understand how to set a promotion campaign, weather it's for sales or any other occasion. This is an instruction of how to create a Selection, Promotion and Sale campaign on Rakuten-PriceMinister. In case your product belongs to both a promotion campaign and selection of products campaign. 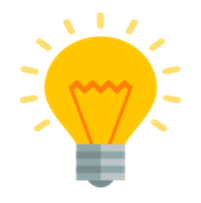 Ask your account manager to create a profile for CSV or a text file. Using Webservice is the easiest and the fastest way. On Rakuten-PriceMinister, 3 types of campaigns are available during peak periods (Christmas, Sales, Back to School). If you are interested in, please contact your E-Commerce Consultant in order to set a seasonal promotion. In this section, you will find specific instructions and recommandations for all the Chinese sellers. We will help you unboard and successfully sell in our French marketplace! If you are a Chinese merchant, you have additional requirements to be able to sell on Rakuten-PriceMinister. Your shop will stay offline until all of those criteria are validated. 1) You need to answer the survey that has been sent to you by mail. Be aware that validation of the survey might take a few days. 2) You need to upload at least 10 products in your shop. Please upload products in a correct way: good pictures (no text on it, white background, not blurry), title and description in French, and write in all the comments "Expédition depuis la Chine - Livraison sous 10 à 20 jours ouvrés” (“Shipping from China – 10 to 20 days”). This information is very important to limit claims of non-received products. On the first example below, there is no product comment at all, the listing here is wrong. On the second example below, there is a product comment in French, and mention about shipping delay. 3) For registration, use a payment method different from Payoneer or Worldfirst: http://bo.priceminister.com/user?action=slimpayredirection&isupdate=true. This account is for paying monthly subscription to Priceminister (debit) and CAN NOT be from WorldFirst or Payoneer. Of course, you can set up a Payoneer or Worldfirst account to receive money from your sales (credit). Know your customer (KYC) is the process of identifying and verifying the identity of our clients. It’s a requirement of French law. Why my KYC is not finished? You sent the documents and they are currently being reviewed by our bank. In that case, please wait. Why my KYC is failing? Your documents were too blurry and/or dark (hard to read). How to successfully pass KYC procedure? Please read carefully the instructions and provide each missing document in the best possible way. Do not hesitate to contact us for any question. Passport (护照), as these are the only government issued identification documents which contain both the PICTURE and the SIGNATURE of the holder. Chinese ID (身份证), both sides on a white paper with signature, AND with a copy of utility bill (gas, electricity, fix phone etc). This document should be recent and include the official stamp. What we need in this article is the person(s) legally responsible for the company (Directors). NAR1 issued in 2017 has to be uploaded as Company registration document. We recommend you to upload a bank statement of WorldFirst or Payoneer. Quality of your listing : refer to the quality tab (https://services.priceminister.com/fr/foreign-merchants#tab-2). Put delivery time in the comments to avoid claims, put clear titles and comments in good French to reassure the customer, etc. Aftersales : answer to your customers when they open a claim and send you a message. The faster the better. If you do not handle your claims correctly, your shop can be closed and it is complicated to be back online. Shipping : provide tracking numbers as soon as possible. For normal shipping, inform the customers that their order has been sent. Use reliable and rather fast carriers to avoid « non-received » claims as much as possible. Often, problems (shop closed, not many sales) occur because of one of these points. In this section, we introduce you the Merchant Quality Score (MQS), an algorithm we elaborated in order to encourage our merchants to improve their service quality. What is the Merchant Quality Score? The Merchant Quality Score (MQS) is an indicator that allows you to assess your quality thanks to several criteria that are linked to customer satisfaction, delivery strategy and catalog. The MQS has a direct impact on your visibility. 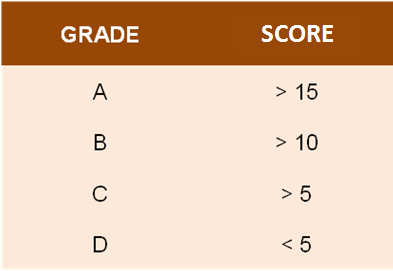 An MQS final grade (A, B, C or D) is assigned to each merchant depending on the score obtained. For example, if you get a score of 13, your final grade will be equal to a B. Each criteria is assessed regarding the related average score of the product universe. In the example below, the first line gathers your results and the second one gathers the results related to the corresponding product universe average. In the example below, the merchant has a GTIN rate below the average in his product universe (shoes). Here is 69 % against 24% for the merchant. This score has an impact on his MQS grade and therefore on his visibility too. GTIN rate: number of GTIN filled/total number of catalog’s products. Why be a good pupil ? Your grade (A, B, C or D) will determine your rights and your access to the tools of Rakuten-PriceMinister. How to know my MQS? If you want to know your current MQS, you can ask your E-commerce Consultant to communicate to you and to find together actions and suggested improvements to optimize your grade (A, B, C or D). On longer-term, your MQS will be available on your space « Mon compte » and in your montlhy report. How to improve my MQS ? Be Omotenashi (1) with your customers. Treat your customer relationship well in order to get a good grade. Keep a claim rate below 3% by paying attention to the quality of your parcel delivery. Ban the cancellations, especially in retrospect! To do so, make sure your stock is up to date. If you need assistance in the import of your stock you can go on the developer website. Ask your customers to give you a grade. Feel free to send them a message to urge them to give you this grade. Indeed, once the grade is given, Rakuten-PriceMinister considers that it is a quick delivery from you and you will therefore be paid earlier. If you have a flawless service, you should get a good grade. Work on your shipping delays and choose the express delivery. - to diversify your shipping modes and reach as many customers as possible. Make the internet users want to buy in your shop and increase your conversion rate. - Highlight your product with qualitative pictures. Work on your catalogs' success rate import thanks to our advice. Don’t forget that if 25% of your catalog is not on Rakuten-PriceMinister, you are actually operating 75% of your potential sales. Aim the 100% of GTIN to be visible on Google Shopping and price comparison tools. If you are having issues to import your catalog, feel free to contact us on the following address: support.pro@priceminister.com.